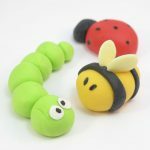 All you need to make fondant pumpkins and gourds to decorate cupcakes, cookies, and cakes for fall is fondant, a black food coloring pen, and some whole cloves. Speaking of gourds, look at my gourd! 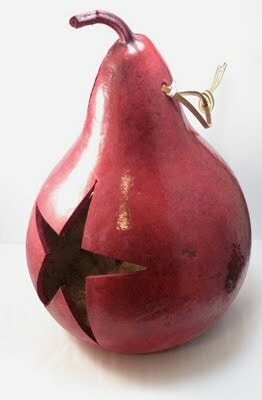 This gorgeous gourd was sent to me by the lovely folks at Blue Rock Gourds. Check out their line of bird houses, butterfly houses and decorative items made from gourds. Methinks I’ll hang it on my front porch. Or in the dining room, as the red color will match my strawberry toile shades perfectly. Or in the kitchen. Oh, the decisons. 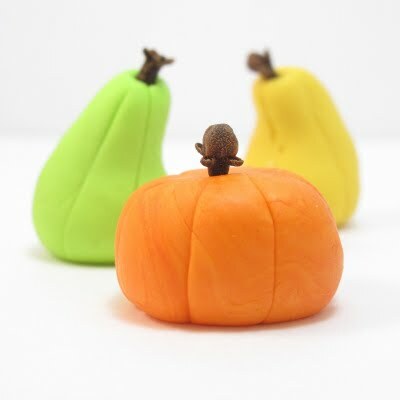 But the gourd did inspire me to come up with some fall-themed fondant how-tos. 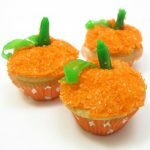 Use these easy-to-make fondant pumpkins and gourds to decorate cakes, cupcakes, cookies or your dessert buffet plates. 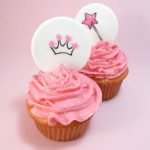 *Fondant is available in major craft stores in the baking section. 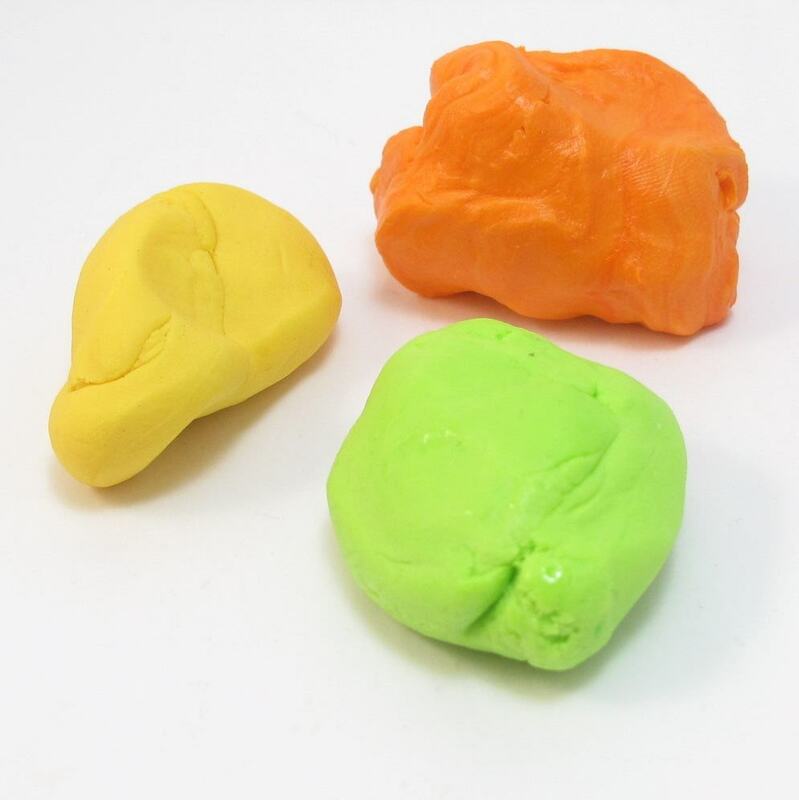 For food coloring, I use Americolor soft gel pastes, Orange, Egg Yellow and Electric Green. Click on their site for info on where to buy. 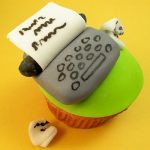 Take a palmful of fondant and add a few drops of your desired coloring. 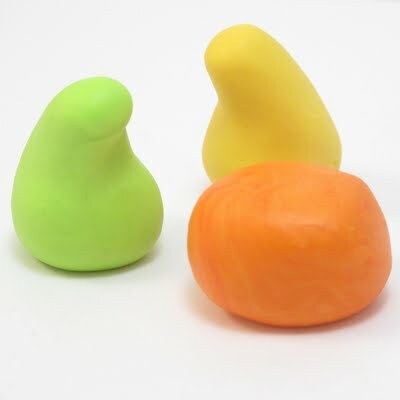 Knead very well, adding drops one at a time until you reach the desired color. If the fondant gets at all sticky or difficult to manage, let it sit uncovered at room temperature for about 15 minutes. For pumpkin, roll a small amount of fondant in your palm into a ball and flatten both ends a bit. For gourds, roll a small amount of fondant in your palm into a ball and pinch the top with your thumb and forefinger. Roll the top between your thumb and forefinger a bit and bend a little. My fondant shapes are pretty small, between 1 and 2 inches. 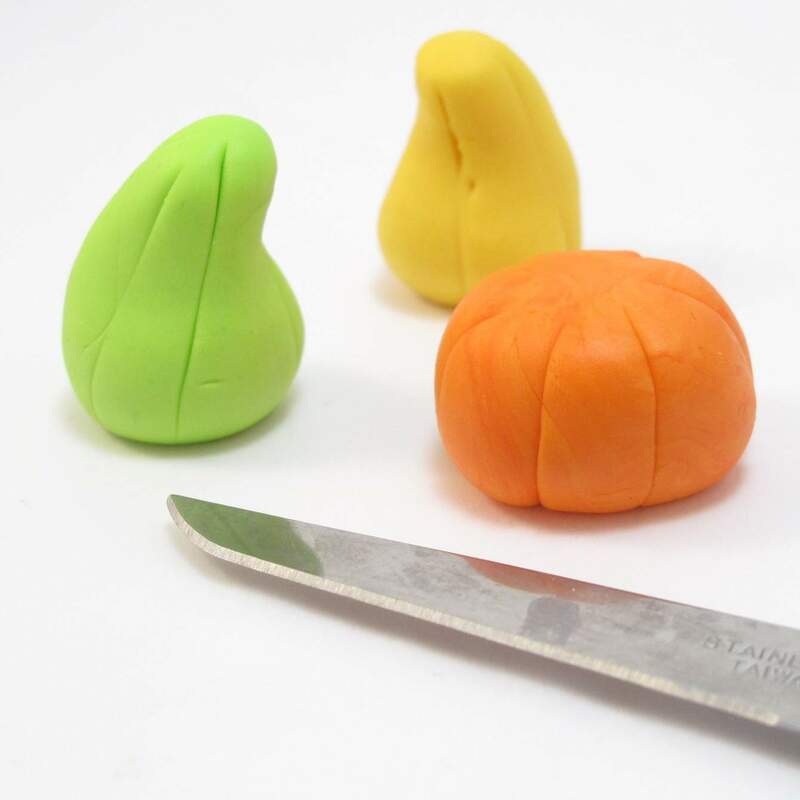 Use the paring knife to gently imprint lines around both the pumpkins and the gourds. Insert a clove in the top to make a stem. I love these! They're adorable! These are awesome and I LOVE that you used cloves as the stem! Genius! oh my. You're getting an early start for Thanksgiving and Hallowe'en! 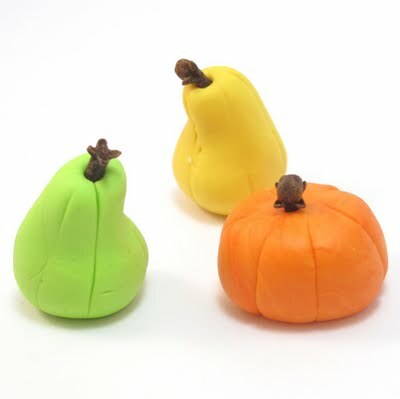 I love playing with fondant and making pumpkins because it reminds me of kiddie playdough! I love the colours you achieved with your gourds! This soes look easy. Do you eat them after? How long they be used, say for decoration? Thanks all! Jennifer, they are edible (except the clove). I find fondant too sweet for my liking, but others like it well enough. They'd probably last awhile…a few weeks at least. They don't get as rock hard as gum paste, but they will get pretty stiff.